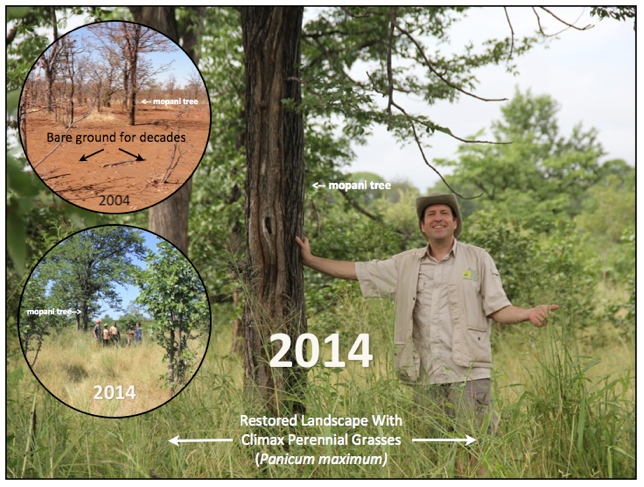 Land Restoration with Holistic Management | Planet-TECH Associates: Trends. Innovations. Opportunities. 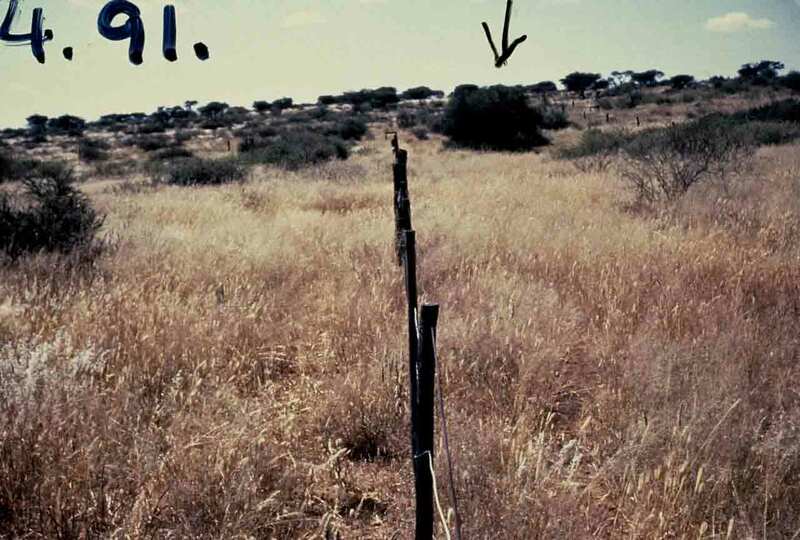 This is a picture (above) taken in Eastern Cape in South Africa - Karoo country – showing desertification with low stocking rates and conventional grazing on the right, and high stocking rates using holistic planned grazing on the left. 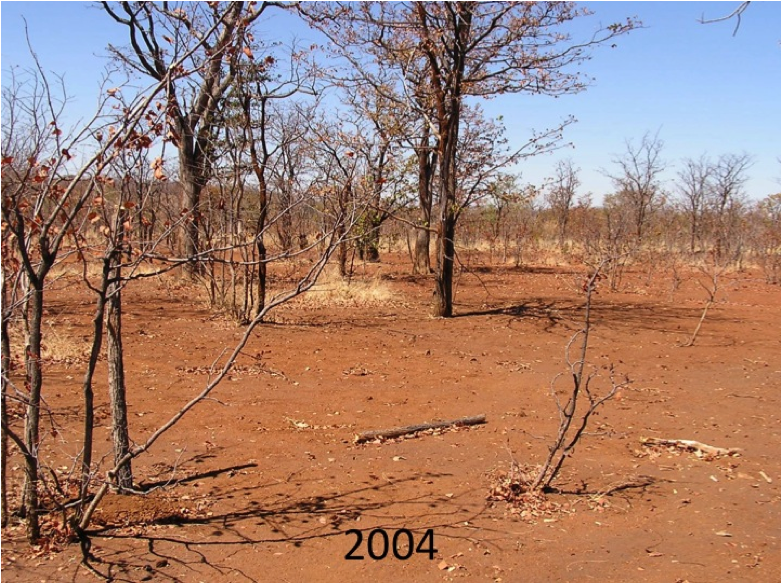 The land on the right continues to deteriorate supporting fewer animals, while the land on the right improves, supporting more. The property on the left has been under holistic management since the 1970s. Average rain fall is approximately 230 mm (9-in) / yr. 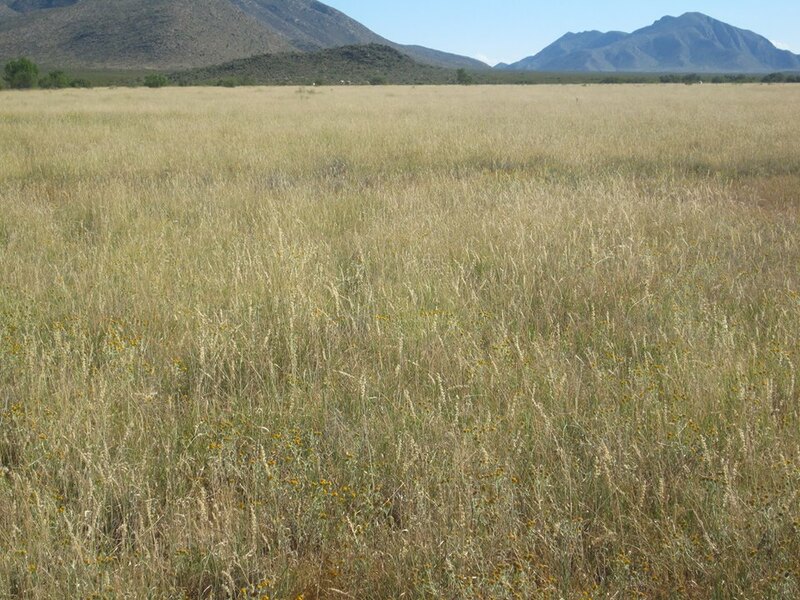 The Las Pilas Ranch in Coahuila, Mexico, is a model of ecological restoration using Holistic Planned Grazing. 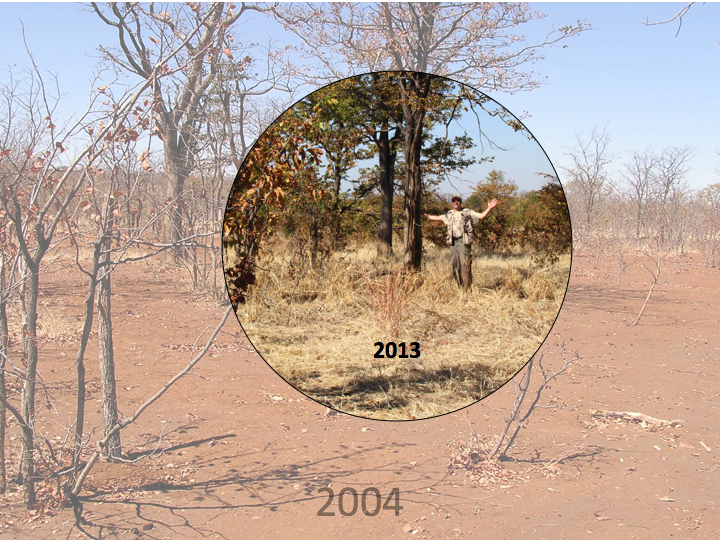 Over a twenty five year period from 1978 to 2003, the barren landscape was completely revived. The images below show the transformation. 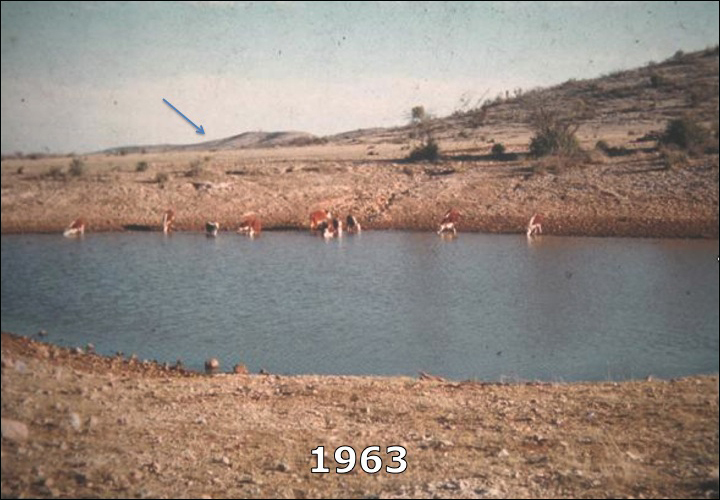 Although the first picture is from 1963, the restoration with Holistic Management didn't actually start until 1978. During the restoration period, the livestock population was doubled and grazing was done according to a plan that paid close attention to grass health. The top landscape from 2003 actually has six-times the water as the the lower landscape from 1963. 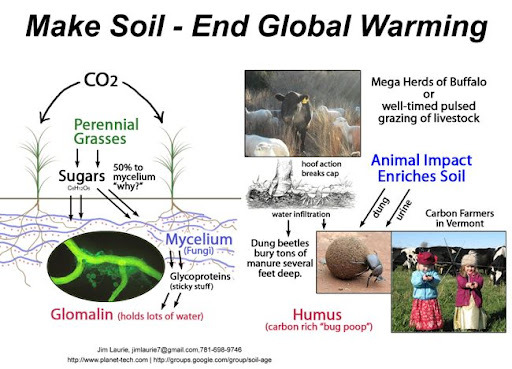 The water is held in the soil and in the plants and trees. Previously a 1-inch rain would fill the trough from runoff. Now a 6-inch rain does not cause standing water in the low point. It is all absorbed. The trough is no longer needed because the streams flow year round. See a tale of restoration case study. 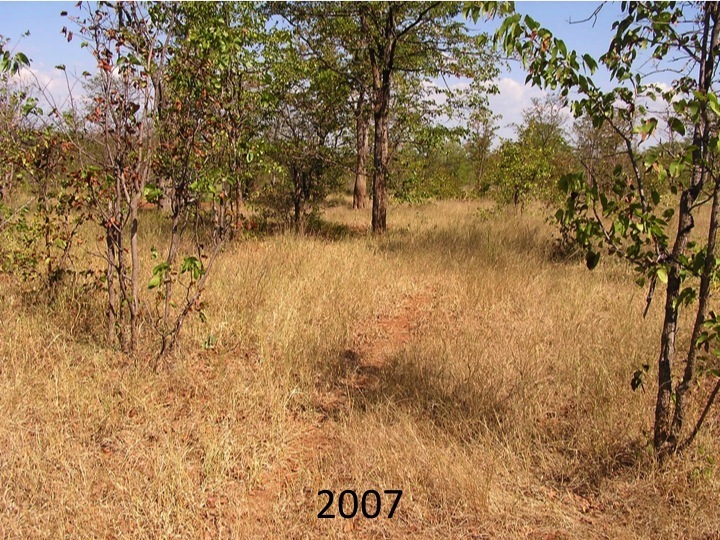 Seth Itzkan on land in Zimbabwe that was converted from a semi-desert to lush grassland with a full field of deep-rooted perennial plants (Panicum maximum, Heteropogon contortus) in only a decade, using Allan Savory's Holistic Planned Grazing (HPG) approach. This is a life affirming experience. 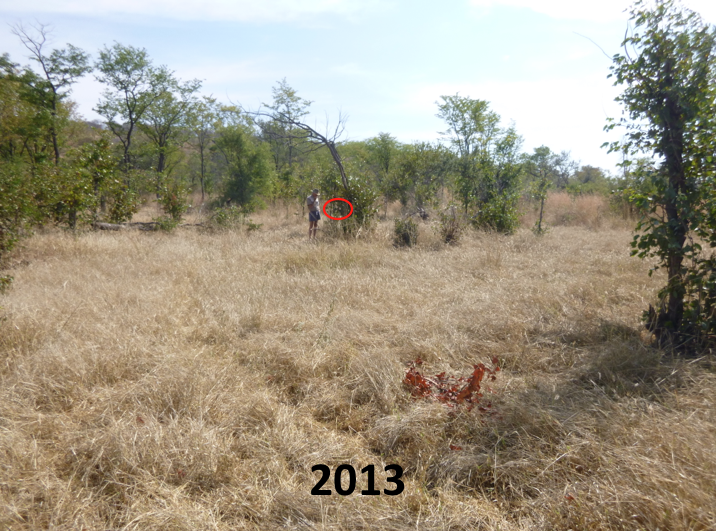 Photo from 2013 shows almost 100% ground cover. Perennial grass is now coming in among the annuals. Photo credit: Seth J. Itzkan. 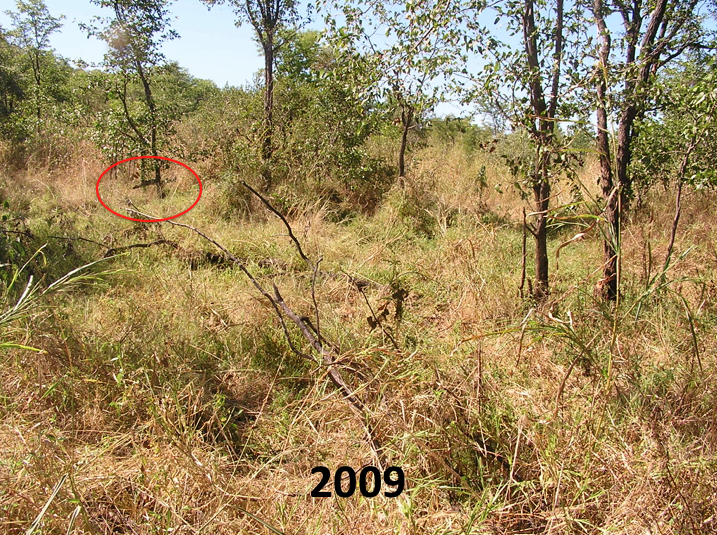 Photo from 2007 show about 50% ground cover. First generation grass growth is annuals. Photo credot: ACHM. 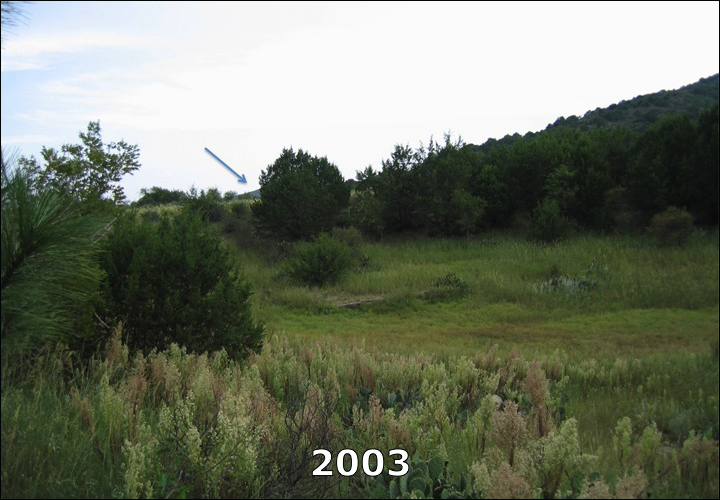 The photo from 2004 shows nearly 100% bare ground (0% grass cover). Photo credit: ACHM. 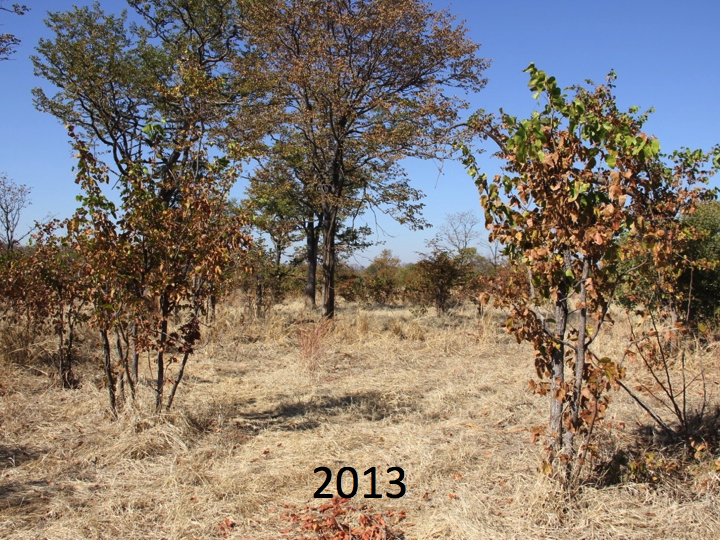 Restoration of severely degraded land in Zimbabwe. 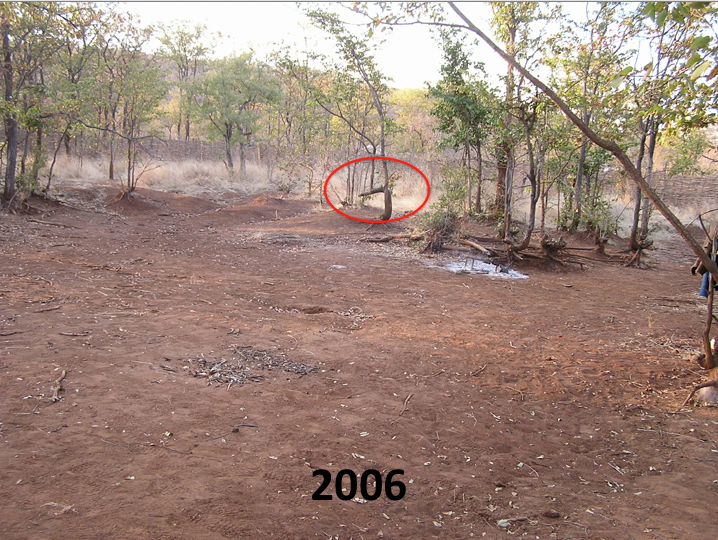 Land had been bare and eroding regardless of rainfall for decades. 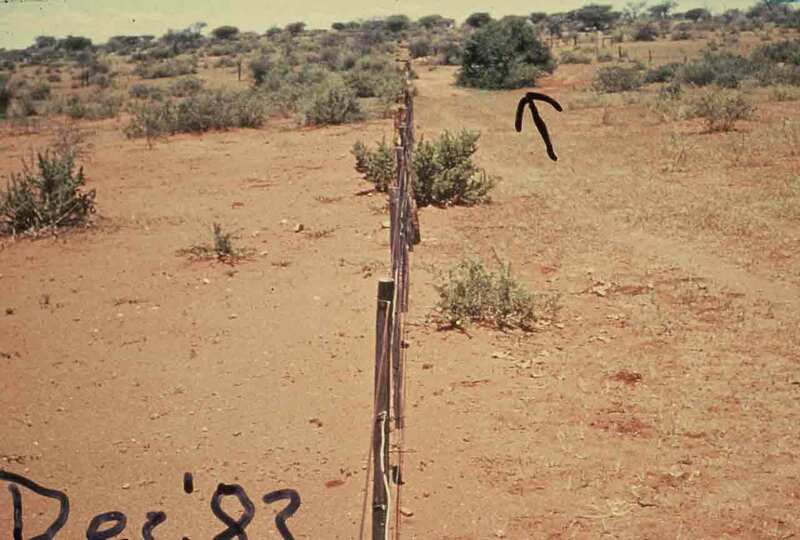 Restoration involved increasing livestock density, corralling animals on denuded spots for 7 to 10 nights, then moving corral to new location, to maximize the cover of dung and plant litter. After the rains, new grass is incorporated into the grazing plan. Complete restoration over approximately nine years. In the bottom picture, the wood paddock fences can be seen in the background. Cattle and goats were corralled here for 7 to 10 nights to maximize the cover of dung and plant litter, and then moved on. After the rains, new plant growth is incorporated into the holistic grazing plan. The red oval in the pictures represents the same tree, where a bend in the lower branch looks like an elbow. 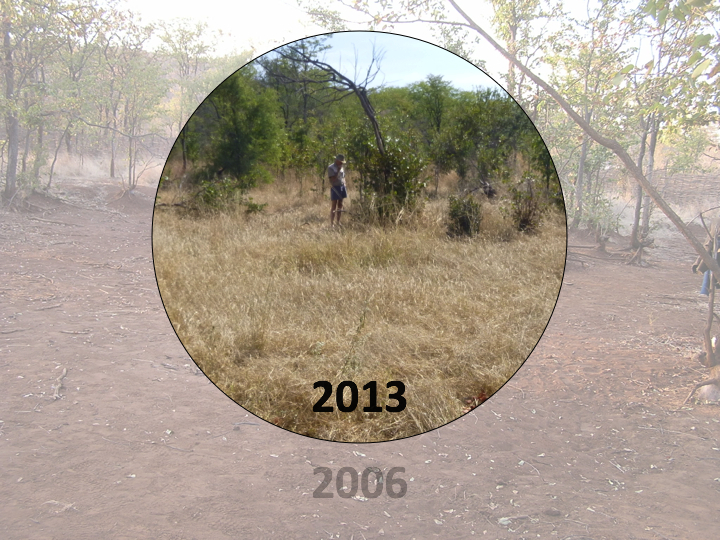 [Fixed point pictures on the ranch of Argo Rust in Namibia showing the change over that period due to planned grazing. Even the water corridor, to the right of the fence, is fully recovered. Contrasting sites in Chihuahua Mexico - photos taken on the same day about 3 miles apart. Top site is using Holistic Planned Grazing with double recommended stocking rate while emplying high density grazing. 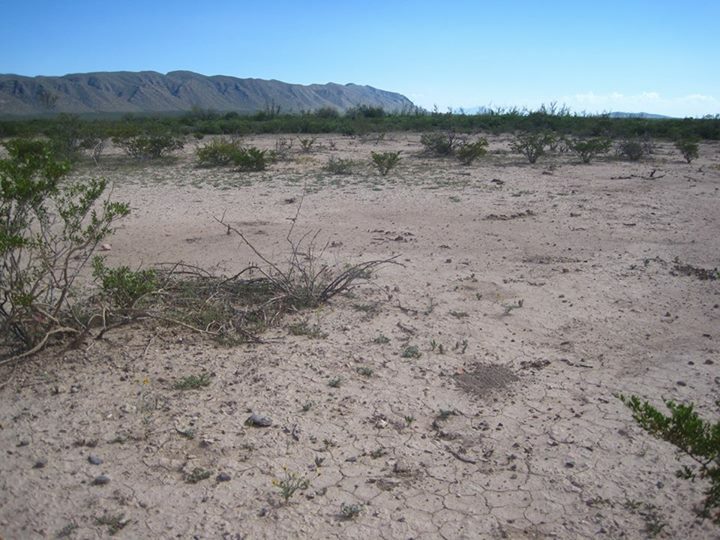 Lower site is typical of the region: capped, bare ground, woody brush, no perennial grass, too few animals overgrazing. For more examples and case studies; See www.savoryinstitute.com, and www.ecoresults.org.